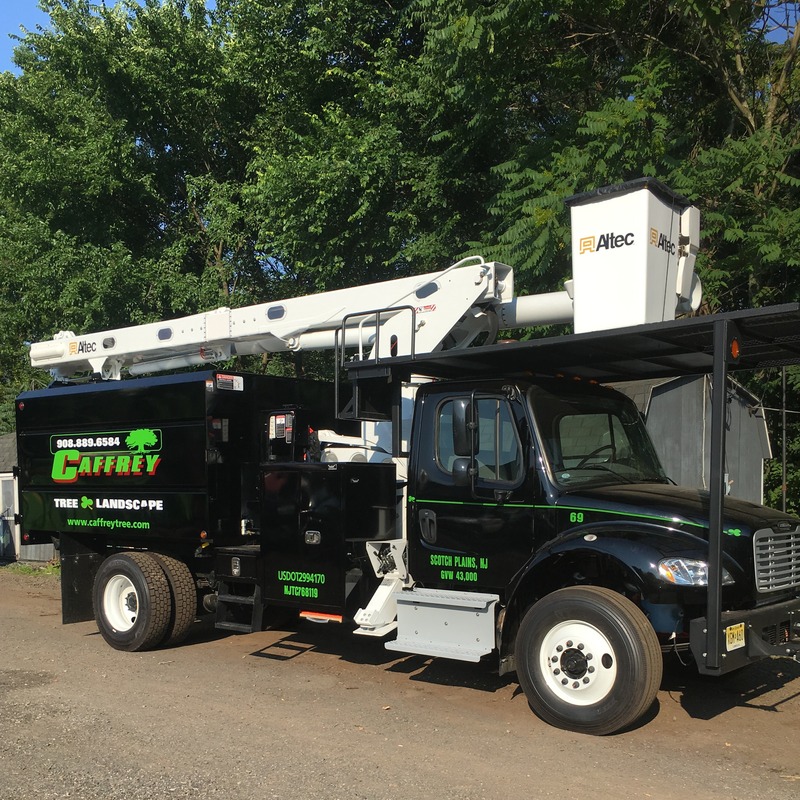 Our LTE & ISA, NJ Licensed Tree Expert proudly services all of Union, Somerset and Middlesex Counties. We are based in Scotch Plains, NJ and have been a fixture in the tri-county area since 1978! Caffrey Tree & Landscape offers a complete line of tree and plant health care services, including all phases of fertilization, pruning and removals. We also provide turn-key landscape design and construction. We work closely with our clients to create and implement landscapes to be enjoyed for many years to come. For those that need firewood, we offer both fireplace and stove size! Contact us today if you are in need of tree services, landscaping or plant health care from an ISA and LTE Certified Arborist. When choosing Caffrey Tree & Landscape, you will be choosing a company offering 40 years of experience in arboriculture. We specialize in creating and maintaining healthy landscapes. By utilizing state of the art equipment and practices we are able to provide industry exceptional products and services that will meet or exceed your landscaping expectations. No job is too big or too small. Simply call Caffrey Tree & Landscape today and begin your journey to a new and healthy landscape. Based in Scotch Plains, NJ we serve all of Union, Somerset and Middlesex Counties. Our professional staff will assist in anyway needed, offering guidance, professional, courteous suggestions with solutions to your needs. It all begins by calling 908-889-6584, or emailing at caffreytree@verizon.net. You can also request an estimate here. We kindly offer evening and weekend appointments for those with busy schedules. And remember, estimates and questions are always FREE! 1 Free Ornamental Flowering Tree Installed With a Booked Landscape or Mulching Job! Click here to book yours today! Always great work, done in an efficient time. We didn't hesitate when looking for a company to take down our tree. We called to get an estimate and the owner even came and gave us some nice education about the tree and the surrounding ones, so I can tell they're passionate about their work. This is our third time using Caffrey Tree & Landscape and I'm looking forward to the next. Very affordable and very satisfied. Thanks again guys! A huge shout out to Lisa at Caffrey Tree and Landscape for always being kind and responsive after these recent storms. She genuinely cares about helping people with their tree troubles. We were extremely impressed with Caffrey Tree & Landscape. Not only were they punctual, professional, responsive and customer focused, but their crew's clean up effort was impeccable. They were diligent in their work and very easy to work with. Scotch Plains, Westfield, Fanwood, Mountainside, GreenBrook, Warren, Fanwood, Summit & Surrounding Areas. Copyright © 2019 Caffrey Tree & Landscaping, LLC, all rights reserved.